Every PC has startup programs that start along with it. 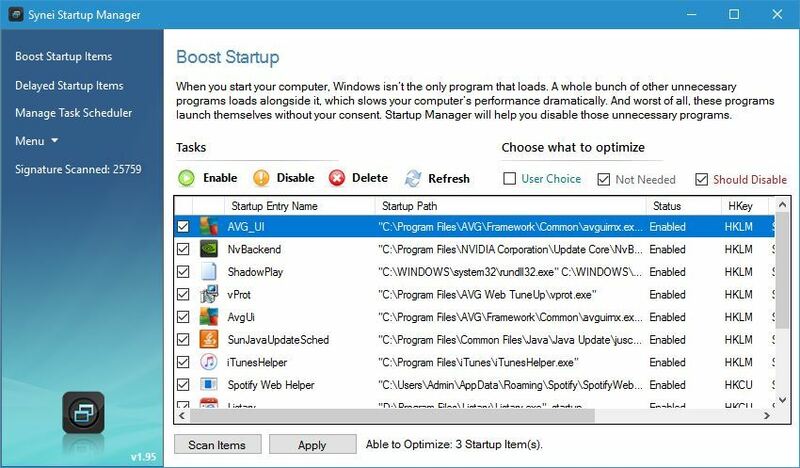 Startup applications can be useful, but sometimes certain startup applications can cause problems and slow down your PC. Since these applications can slow down your PC, today we’re going to show you the best tools to manage your startup items on Windows 10. 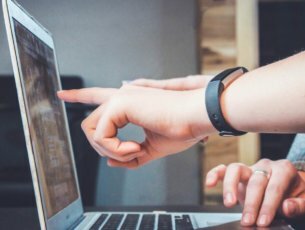 What are the best tools to manage startup items on Windows 10? 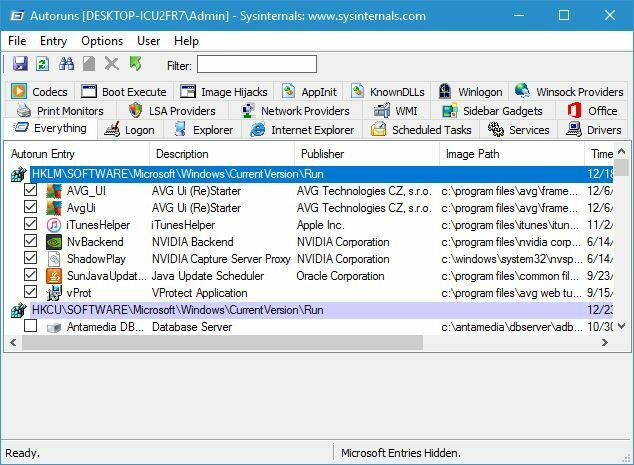 Autoruns is a simple software and a part of Sysinternals, but it can be downloaded separately. This tool will show you all startup items, but you can sort them by clicking the appropriate tabs. For example, you can only display printer monitors, startup services, or startup Explorer items. 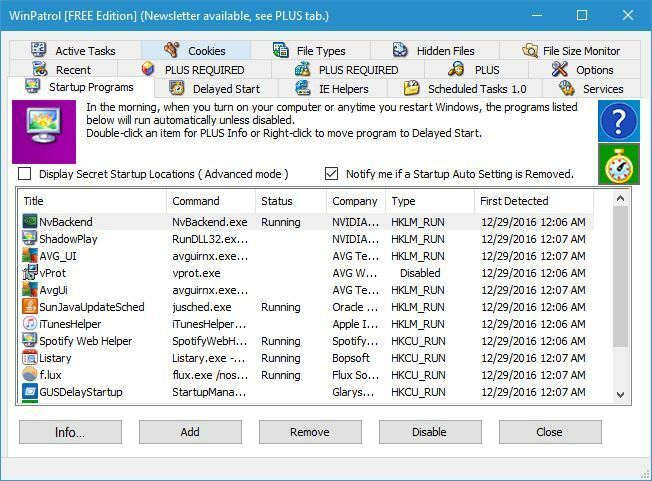 Autoruns will display all sorts of startup items, and you can easily disable any item on the list simply by unchecking it. This tool allows you to see the location of each startup item, so if you have a malicious software that automatically starts, you can easily find its location and delete it. In addition, you can switch to the registry entry of each startup item right from the Autoruns. 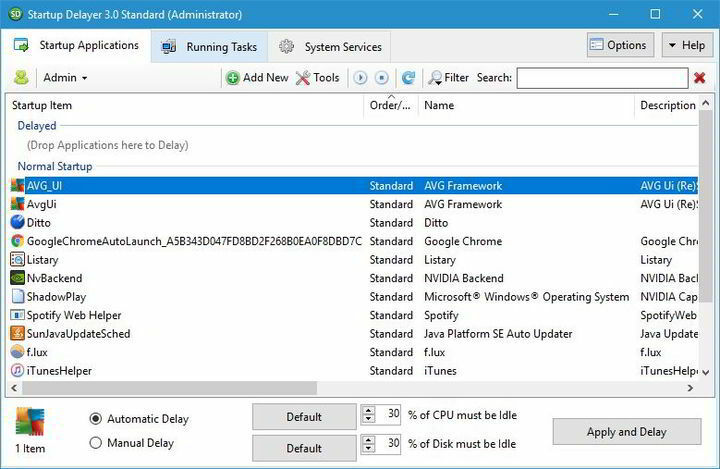 If you don’t want to accidentally disable any Windows services, you can choose to hide them in Autoruns. This is a powerful tool but it can be a bit confusing for basic users. If you are an experienced PC user you should have no problems with using this tool. Startup Delayer is another application that allows you to configure your startup items. By using this tool you can easily delay startup of certain applications in order to speed up your PC. When you start the application you’ll see a message asking you for how long do you want to delay your startup apps. You can choose one of the available presets by moving the slider, but we decided to skip that step entirely. When Startup Delayer starts, you’ll see the list of all startup applications. If you want, you can stop or disable any of these apps simply by right clicking them and choosing the desired option. This tool also allows you to change startup settings for different users on your PC. If you want, you can show only the common apps for all users and change their startup settings. One useful feature of this application is its automatic delay feature. By using this feature you can delay an app and set it to start only if certain percent of your CPU and disk is idle. There’s also a manual delay option that allows you to set a timer that will start the application after certain time period. Startup Delayer allows you to add new apps to startup and you can also create startup profiles and back up your startup settings. The application also allows you to view running tasks, check their properties or disable them. Lastly, there’s a System Services tab that allows you to check your services and enable or disable them. Startup Delayer is a simple app that will help you manage your startup tasks. Although this is a free application, there’s a premium version available. The premium version adds support for backup and restoration, startup profiles and scheduled launching. In addition, with premium version you can convert running tasks to startup or copy and paste applications between the users. Even though the premium version offers some new features, the free version will be more than enough for most users. CCleaner is a famous tool that can clean any old and temporary files from your PC. Although this tool is designed for removing files, you can also use it to manage startup items. To do that, simply go to Tools section and select Startup tab. From Startup tab you can see the startup applications on the list. You can easily disable or delete any startup item from the list. You can also view scheduled tasks or context menu items. 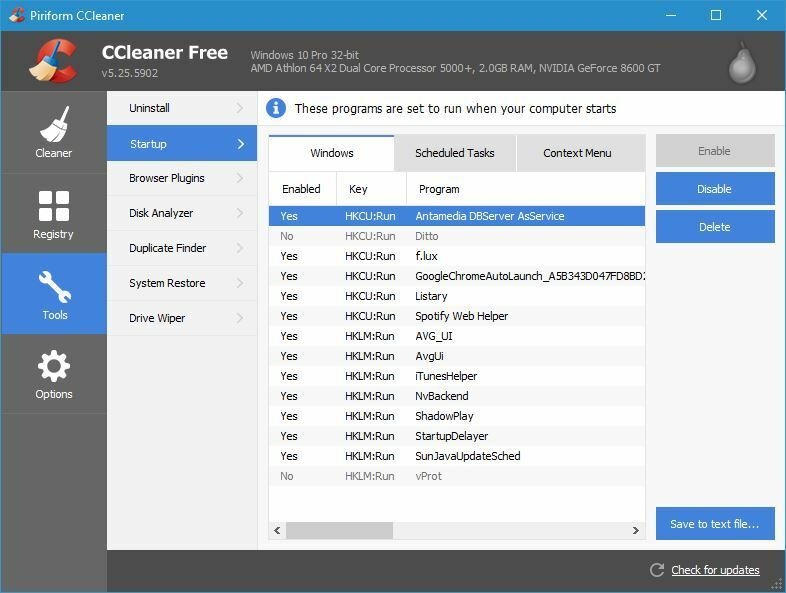 By using CCleaner you can easily enable or disable startup items, but you can also open their containing folder or view their registry entry. CCleaner allows you to easily configure your startup applications, and if you already have this tool installed, you should definitely check its Startup section. WhatInStartup is a small and portable application that lets you manage your startup items. Since this application is portable, you can easily run it on any PC without installing it. The app will list all startup applications along with the relevant information such as file version, location, etc. If you want to disable an app from starting, simply right click it and choose the option from the context menu. In addition, you can also disable or enable applications by using the menu on the top. WhatInStartup comes with a simple user interface which makes this application perfect for basic and advanced users alike. 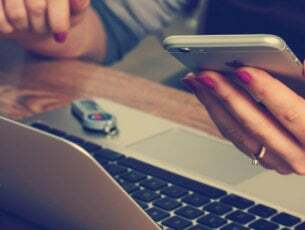 If you’re looking for a small and portable application that lets you change your startup items, be sure to try WhatInStartup. Quick Startup comes with a simple user interface that allows you to quickly and easily disable certain startup items. All startup items are grouped in tabs and you can easily sort them. The application will display total number of programs and services that are started along with Windows. In addition to number of startup items, you’ll also see the estimated time that it takes for all apps to start. 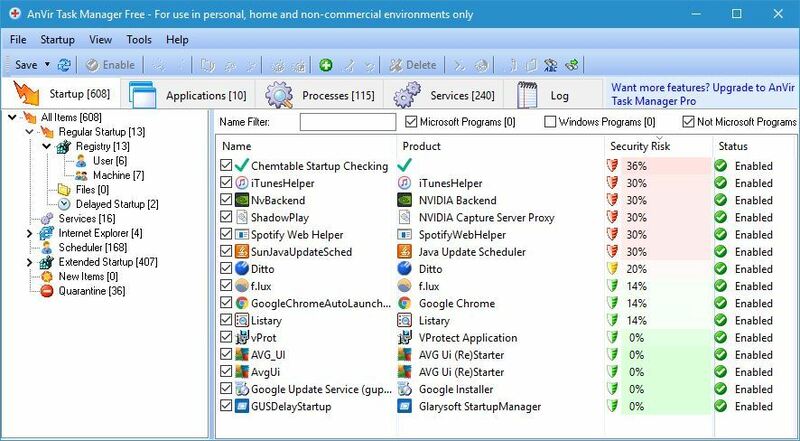 All startup items are sorted into one of the following tabs: Startup Programs, Scheduled Tasks, Plug-Ins, Application Services and Windows Services. Regarding startup programs, you can easily disable or delete them from startup list. In addition, you can also delay startup items from starting. If you want, you can also add programs to the startup right from the Quick Startup tool. Quick Startup comes with simple and friendly user interface, so it will be perfect for basic users. Starter is another free application that allows you to configure your startup items. This application is available as portable application so you won’t have to install it on your PC in order to run it. The application has a relatively simple user interface and you can see the CPU and memory usage on the graph in the bottom left. Startup tab will display all the startup applications so you can easily configure them. In addition to editing startup items, you can also add your own startup items if you wish. The Processes tab will display all running processes and you can terminate the running processes or change their priority. Last option allows you to configure your services. From there you can easily change the service startup type, start a service or disable it. We have to mention that service status and startup type is represented with a small icon which makes it easy to distinguish service startup type and state. Starter is a simple and portable application that lets you easily configure your startup items, processes and services. This application is completely free, so be sure to try it out. 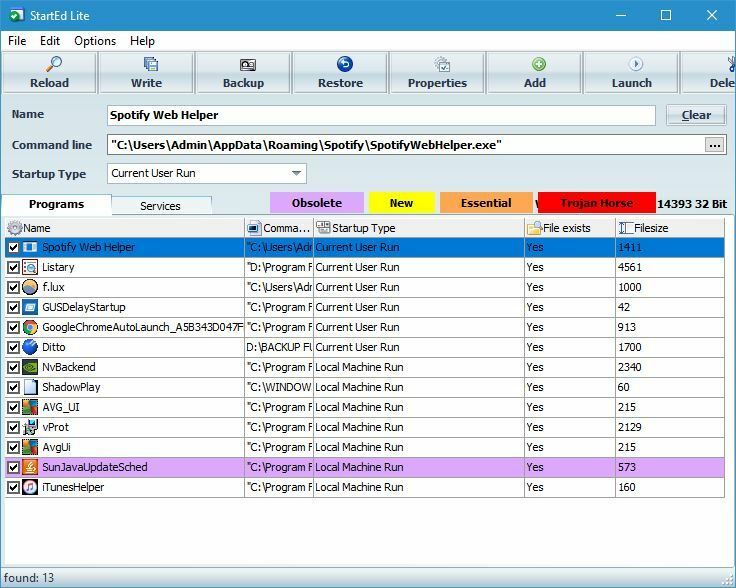 WinPatrol is a simple application that you can use to configure startup items. This application sorts all your startup items in different tabs, which makes it somewhat easier to find a specific application or service. WinPatrol has 15 different tabs to choose from, and we have to say that its user interface can be bit confusing, especially for new users. 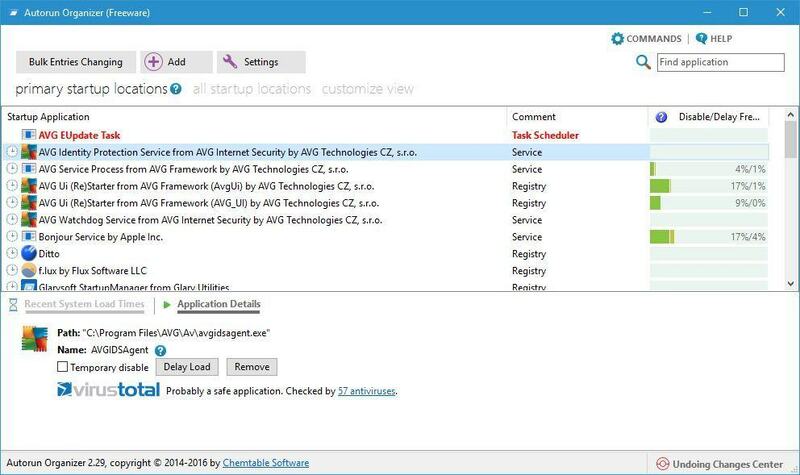 Using WinPatrol you can see startup programs, scheduled tasks, services, active tasks, hidden files, cookies, etc. There’s also a file size monitor available that you can use. As for startup applications, you can easily disable them or move them to delayed start category. There’s also an option to delete the file on restart, which can be useful if you’re infected by malware. WinPatrol does a great job when it comes to configuring your startup items. This application can be bit daunting with its interface and features, so it’s safe to assume that this tool is made for advanced users. 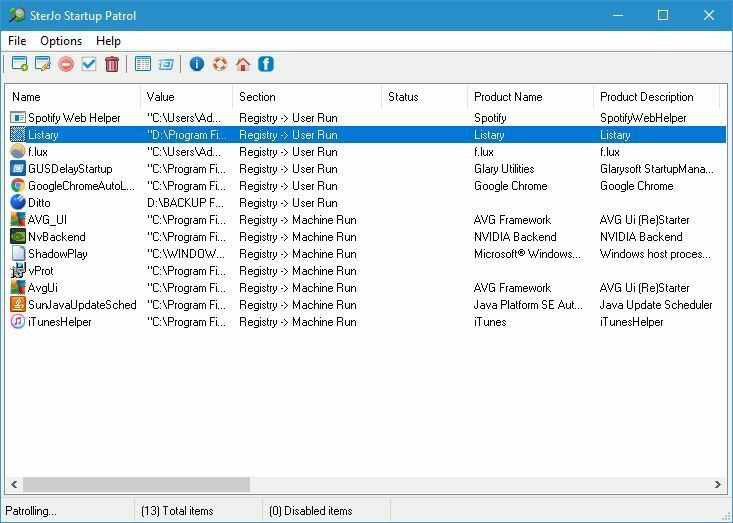 If you’re looking for a powerful tool that will allow you to configure your startup items, you might want to check WinPatrol. Autorun Organizer is a simple and visually appealing tool for organizing startup items. The tool comes with simple user interface with all your startup applications listed in two categories. Primary startup locations will list startup items that need startup optimization the most often. If you want, you can also show all startup locations and configure all startup applications. You can easily temporarily disable an application, or you can delay its start. 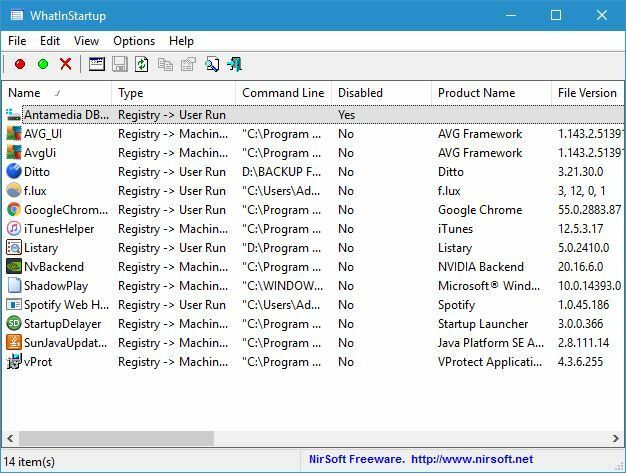 There’s also an option to remove the application from startup list and to check its installation directory and registry entry right from this tool. You can also add new items to the startup if you wish to do so. Autorun Organizer also displays potentially dangerous applications, so you can easily check if you have any malware in your startup. Autorun Organizer is a decent application for organizing your startup items, and its only flaw might be the lack of ability to configure your services. Despite some minor flaws, this application will be perfect for basic users that want to configure their startup items. Disable Startup is a bit older application, but it can still be useful. This is a simple and free application, and once you install it, you’ll see a list of settings. From there you can configure how will the application respond to startup changes. If you want, you can disable all new startups, allow them or show warning message when new startup is added. This is useful because you can see if any third-party or potentially malicious application is added to the startup. In addition, this application will also protect any changes to Internet Explorer start pages. If you want, you can also see the list of all startup applications and disable them manually. Disable Startup is a simple application, but as you can see, it doesn’t offer many features and it feels a bit outdated. 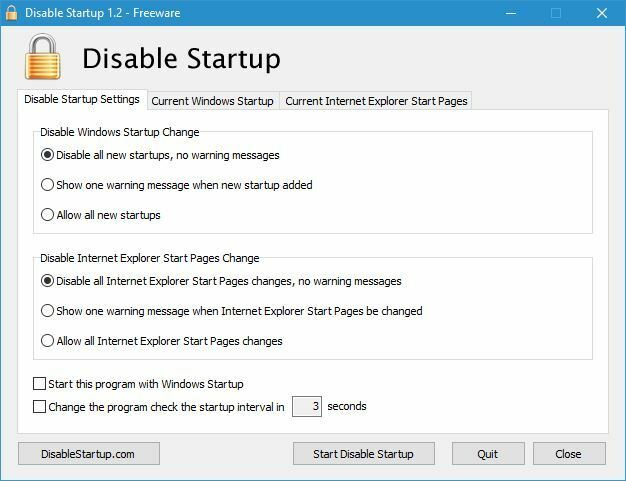 If you want a simple application to configure your startup, you might want to consider Disable Startup. First thing that you’ll notice when you start StartEd Lite is its slightly outdated user interface. Despite the interface, this application allows you to configure startup apps and services with ease. When you start the app you’ll see a list of startup programs. You can disable startup applications, delete them or add new applications to the list. If you want, you can also change the application’s startup type. In addition to startup applications, you can also configure startup services. You can easily disable, pause or resume services with a single click. The only option that is missing is the ability to change startup type for services. We also have to mention that all services and applications are highlighted by certain color, so you won’t accidentally delete or disable an important service or application. StartEd Lite is a decent tool, and with the option to highlight important services, you can be sure that you won’t accidentally disable any crucial Windows 10 service from running. 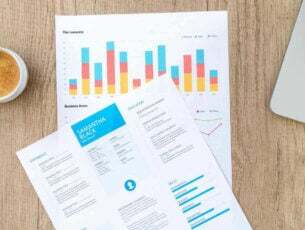 If you’re looking for a simple tool that will allow you to configure your startup applications, SterJo Startup Patrol might be just what you need. As soon as this application starts, you’ll see the list of startup items. You can easily disable any item on the list or even delete it completely from startup. Of course, you can also add new startup applications as well. The app also allows you to edit startup items if you wish to do so. SterJo Startup Patrol is a simple and straightforward application, so it’s perfect for basic users that want to configure their startup items. We have to mention that portable version of this app is also available, so you can easily run it on any PC without installation. This tool comes included with Synei System Utilities and it allows you to configure your startup applications. Synei Startup Manager comes with a simple interface so you can easily enable or disable certain startup items. If you want, you can even delete or delay certain apps from starting. There’s also an ability to add new startup items if you wish to do so. This tool doesn’t have any advanced options, so it’s perfect for basic users that want to disable startup applications or configure their startup applications. Synei Startup Manager is available as a portable application, so you don’t have to install it on your PC in order to run it. Сhameleon Startup Manager Lite is another tool for configuration of startup items. This tool will list all startup applications for the current user and for all users. In addition to applications, the tool will also list scheduled tasks and third-party services. All startup items can be disabled or deleted from startup with just a single click. If you want, you can also add new items to the startup. We have to mention that Lite version has several limitations. The premium version allows you to save profiles, restore settings, schedule applications and so much more. The free version offers only basic features, and all features are easily accessible. 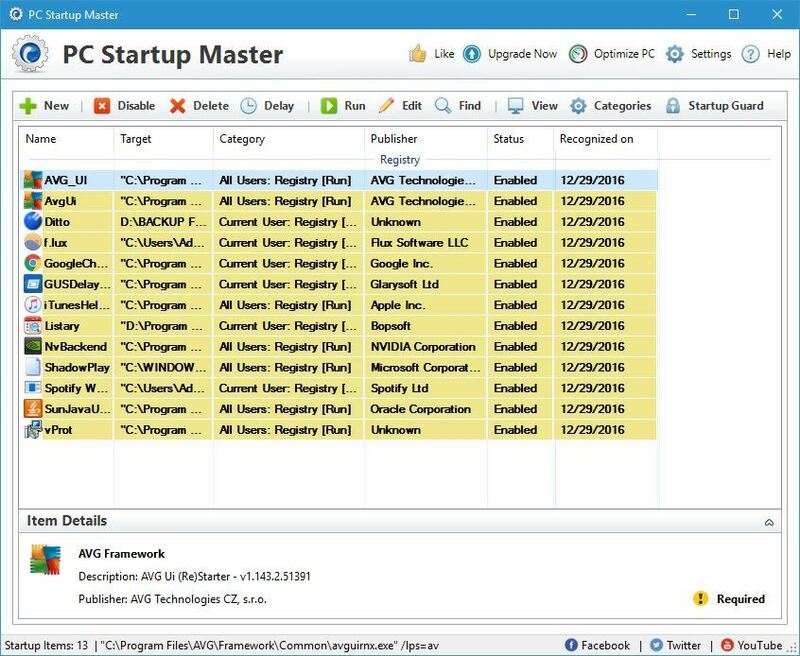 PC Startup Master is another simple that lets you configure your startup items. We have to mention that free version only allows you to see your startup applications. 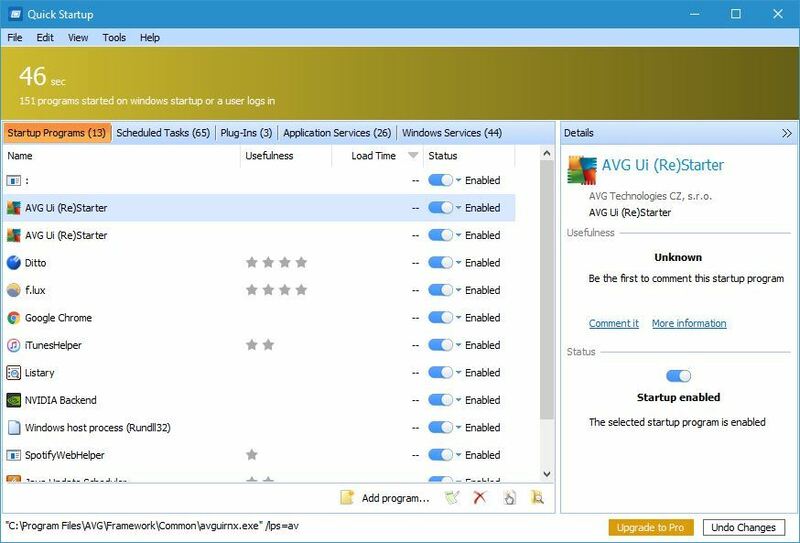 If you want to see Windows services and Scheduled tasks, you’ll have to purchase the premium version. The application allows you to easily disable or delete any startup application from the list. If you want, you can also add new startup items. There’s also an option to set a delay for desired applications. We have to mention that advanced delay options aren’t available in free version. There’s also a Startup Guard feature, but it’s not available in free version. PC Startup Master is a decent application, but its main flaw is the lack of features in free version. Many free applications offer these features as well, so if you really need these features, you might want to consider using a different application. 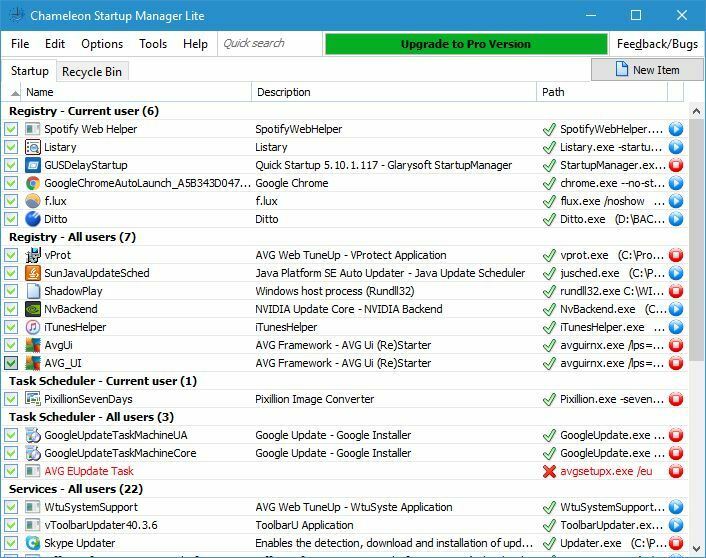 This tool is mostly a Task Manager alternative, but you can also use it to configure your startup items. Once you open the Startup tab you’ll see a tree of startup categories. Using the tree you can simply find the desired application or service. All required options such as disabling, deleting and delaying are supported. You can also stop any process or add new applications to the startup. You can also view all running applications and processes. If you require even more configuration, you can view all running services. From there you can enable or disable services and even change their startup type. 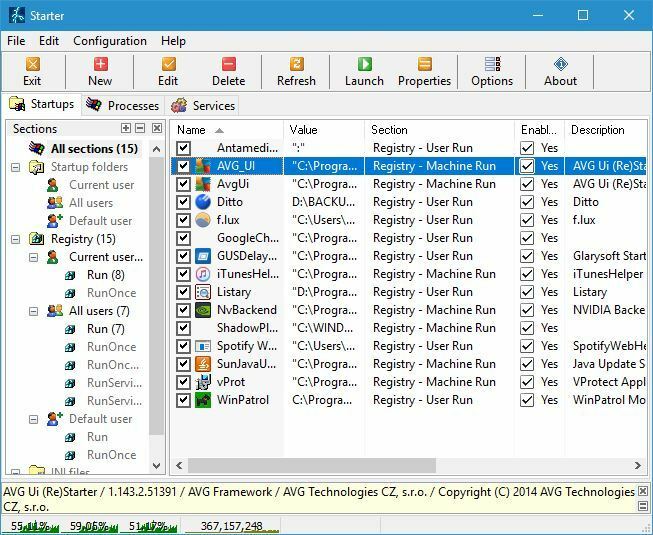 AnVir Task Manager Free is a Task Manager replacement, and it offers an overwhelming amount of information. The app will allow you to configure your startup items, but it also allows you to do so much more. This application is completely free for personal use, and since there’s a portable version available, you don’t even have to install it on your PC. As you can see, there are many great tools that will allow you to configure your startup items. If you don’t want to use third-party tools, you can also use System Configuration tool to configure startup items.